The Make Up Crew run beauty and ITEC accredited courses. They have courses in Dublin and Cork. If you ever wondered how professional makeup artists can create such amazing looks or fancied learning the tips and tricks of the trade, why not enrol in one of their training courses. The Make Up Crew tutors work in class as they do on set and photo shoots, so the Make up Students are trained to be ready and skilled to start real work in the industry. For Students who have already completed a make up course with the Crew or with another college and you want to further your skills, you may qualify to take place on 1 or 2 days per week of Module 1/2, therefore lessening your course cost price. The Makeup Crew is a training academy like no other. They believe in doing things with passion or not at all. Also, the school make sure everything is done through the lens of professional excellence . Their mission is to ensure exceptional makeup training and education. The skilled trainers build up trainee artists to a level of confidence that they feel ready to embark on a career in the industry. As a result, students gain a knowledge of products and cosmetics that the soon to be next generation of artists will be outstanding in. Training with The Makeup Crew will excel skills to the maximum. They offer an ITEC Internationally recognised accreditation as well as the Makeup Crew in-house Diplomas. 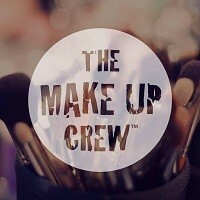 The Crew believe in collaboration, passion, individuality, self expression and most importantly, great makeup! Application and attention to details are key. The school encourages their students’ own journey into the makeup industry. Some of their graduates have gone to set up their own businesses and high end brands such as MAC, Laura Mercer, Charlotte Tilbury. A lot have also ventured overseas to London, Germany and Canada. They always remain a constant outlet for past students. If you need advice or want to up-skill their door remains open with a high regard for past graduates.